LOS ANGELES -- Faced with a rapidly diversifying customer base, the auto industry's top marketing minds are increasingly turning to a pair of unifying forces: family and sports. 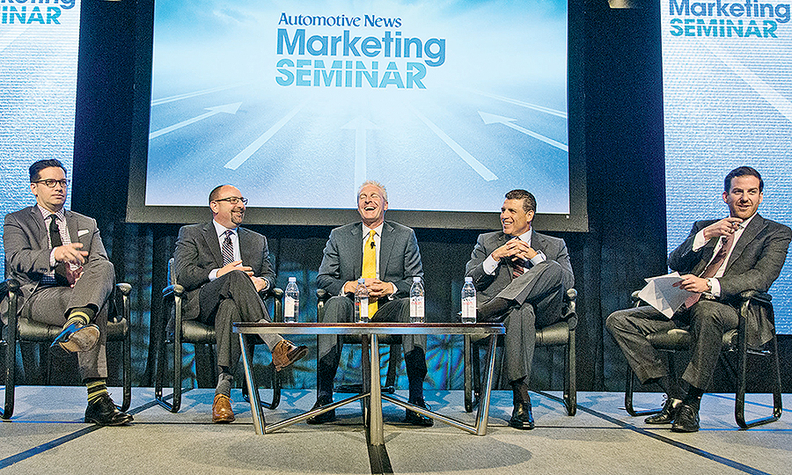 "For those of you who are here who are Caucasian, you've always been the majority," Jack Hollis, Toyota Motor Sales' group vice president for marketing, told a gathering at the Automotive News Marketing Seminar here last week. By 2044, "you will become the minority." Marketers who ignore those trends do so at their own risk, said Fred Diaz, senior vice president of Nissan sales, marketing and operations in the U.S., addressing the seminar. "If you are not fully engaged 100 percent in aggressively pursuing your multicultural opportunities, folks, shame on you, because this is the way of the future." Diaz said 36 percent of Nissan's sales are to multicultural consumers and sales to those customers are "growing exponentially every year." The answer for marketers, Hollis said, isn't necessarily pigeonholing and hypertargeted messages. Rather, he said, brands must communicate their messages on a level that goes deeper than a customer's heritage. Indeed, both Nissan and Toyota turned to family relationships in their Super Bowl ad campaigns this year: Nissan's "With Dad" spot highlighted its racing program and previewed the coming Maxima sedan, and Toyota's Camry spot cast fatherhood as a "bold choice." "It doesn't matter what culture you're in, the relationships that you build ... are still going to mean a little bit more to you, and that is culturally relevant," Hollis said. Hyundai, which worked the Dad theme in its ads for the Genesis sedan at last year's Super Bowl, is also using sports sponsorships to tap into fan passion that spreads across cultures. For example, the brand built campaigns around college football and World Cup soccer. "Football fans are nuts," David Matathia, director of marketing communications at Hyundai, said of the brand's sponsorship of the international soccer tournament. "They will do some really sometimes questionable things in service and in love of country or of team."